Could the Eastern 8 have become a power football conference? / Could the Eastern 8 have become a power football conference? RE: Could the Eastern 8 have become a power football conference? Penn State and Pitt would have both been accepted and Big East football would have been formed immediately under Gavitts terms instead of Paterno's failed attempt. I think I read once that Seton Hall voted yes for Penn St so it probably wouldn't have changed things to replace the Pirates for the Scarlet Knights. Miami and VT could be added later as FB onlys and eventually full members. UConn upgrades their program in 2004. Villanova and Seton Hall get left out due to duplication of markets. BC and UConn would offer significant coverage of New England to not need Providence. Those 3 end up in a league with Duquesne, UMass, St Joe's, URI, etc. Ideally, I think Villanova would be in there as well. Even though they duplicate the Philly market, it's a big market. Technically, Rutgers and St. John's are duplicates as well, but NY/NJ is an even bigger market. Would such a lineup entice ND to join as a non-FB member? Each team plays its 5 division mates twice, 2 crossovers (1 permanent, 1 rotating) twice, and the rest once for an 18-game schedule. I agonized over leaving Villanova out in that scenario but they'd be #11 in an era when going beyond 10 was unfathomable. Maybe they sneak in later. Out the gate this league would have 10 for BB and 7 for FB which was feasible for the era. Admitting the affiliates as full members creates a 9/12 set up and if UConn upgrades that becomes 10/12. Maybe in the mid 90s we see Notre Dame and Villanova join as nonfootball members. The trouble with the whole thing is a still think that VT and Miami's loyalties would teeter and the ACC would still be a temptation unless Notre Dame is in the Big East for other sports and they could get some guaranteed FB games with the Irish OOC. The East Coast Conference had 12 then. Nerdlinger: Maybe they do dare to go to 12 from the start. Who would your 12th be? Where do you see Notre Dame in this scenario? Are they the heart of an epic Midwestern private school league with Marquette, DePaul, St Louis, Xavier, Dayton, and Butler? Something like that the MCC was with some slight tweaking? (02-01-2019 10:30 PM)Fighting Muskie Wrote: Nerdlinger: Maybe they do dare to go to 12 from the start. Who would your 12th be? I already had a 12th: Notre Dame. Would they be in the market for this all the way back in the early 80s? It wasn't until the mid-90s that they began their relationship with the Big East. No. It likely would not have. ND basketball had a very good run as a basketball independent in the Seventies, ending two long UCLA winning streaks, being on national TV a lot with games against fellow independents like DePaul and Marquette and against Louisville, UCLA and Kentucky and making the Final Four in 1978. ND basketball was still doing well as an independent under Digger Phelps in the Early Eighties, so there was zero interest at the time in putting basketball into a conference. Only matched by Holy Cross, then a I-A independent, passing on the Big East as well. Except nobody can provide a source that states Holy Cross was officially invited. Gavitt said their president couldn’t be convinced of the idea because he thought it would damage academics. I’m not sold HC actually got to the official invite stage like Rutgers. BC had the better market, and Crouthamel said BC was chosen over HC due to that. If Holy Cross was invited in place of BC, that would have made Syracuse the only major football playing school in the Big East at its inception. * Interesting. I realize HC was 1-A at the time, but they were soon to be 1-AA. There is a lot of misinformation/misunderstandings in this thread. As someone who actually lived through that and who was fairly familiar with everyone’s thinking at the time, please allow me to attempt to clear up some of them. First let me say that an all sports conference would have been ideal. As it is, schools like Pitt, Boston College and Syracuse have ended up in a conference centered in Charlotte, Penn State and Rutgers have ended up in a conference centered in Chicago and West Virginia has ended up in the conference centered in Dallas. And Temple would change places with any of those schools in a heartbeat. No matter what any of them says, none of that is ideal. They should all be in a conference centered in New York City. In the broadest possible terms, Penn State’s Jim Tarman was absolutely right — everyone involved was being shortsighted. However, as usual when it comes to that school, people were not getting the full story. I’m going to break it down in a series of posts. (01-31-2019 12:04 PM)ken d Wrote: If an all-sports conference, including Penn State, had formed from northeastern independents, I suspect the Big East might never have formed at all. The question is: were there enough schools already playing at a level that would have warranted a full-fledged all sports conference? With 20/20 hindsight, one could say Penn State, Pitt, Syracuse, Boston College, West Virginia, Louisville, Cincinnati and Virginia Tech would have made a conference that could be considered a power conference today. They wouldn't have needed any non-football schools. If it had formed before the NCAA expanded the tournament field to allow at-large entries, Maryland might even have been tempted to leave the ACC. With all those schools already spoken for, what would have been left for a Big East to form with? Dave Gavitt's dream probably would have withered on the vine. Cincinnati was regulated to 1-AA for a season in the early 80's, there is no way they would have been included. Louisville and Virginia Tech would have been considered way out of the footprint back then, but who knows. That's why Rutgers and Temple were shoe-ins for any all-sports leagues. I wonder if Rutgers accepting an initial Big East invite would have been cause for Penn State being voted-in? Rutgers yes vote would have replaced Seton Halls. Could Rutgers have persuaded Georgetown, Villanova or St johns to be in favor of PSU? Maybe if Rurgers originally said yes Temple would have also. Temple was initially discussed before Villanova. People who did not live through it cannot possibly appreciate the old Eastern Eight. It was a rough and tumble conference and those were great rivalries that often involved a literal fistfights between the teams. Having grown up in Pittsburgh, I remember going to those tournament games every year and they were fun down at the old Civic Arena. Pittsburgh was really Ground Zero for that league because of Pitt and Duquesne. Also, Penn State has a ton of graduates living in Western PA and West Virginia has some alumni in Pittsburgh as well. Ironically, the biggest rivalry was probably between West Virginia and Duquesne. In the 70s, Duquesne was really good and West Virginia was pretty good too. Pitt was not much of a factor at all and neither was Penn State. Saint Bonaventure was always just okay and Temple was really starting to lay a foundation. Those games between the Dukes and the Mountaineers were beyond physical – they were flat out nasty...and fun to watch. There were a lot of Pitt fans that were disappointed that we were going to the Big East. That sounds absurd in retrospect because frankly, it is. However, people really cherished that Eastern 8 and were legitimately sad to see it go. It was kind of similar to what happened whenever Pitt left the Big East for the ACC. Everyone knew that it needed to be done, but we were still sad to leave behind all those old fierce rivalries. We’ve been in the ACC for I don’t know, five or six years now, and it still doesn’t feel like home. 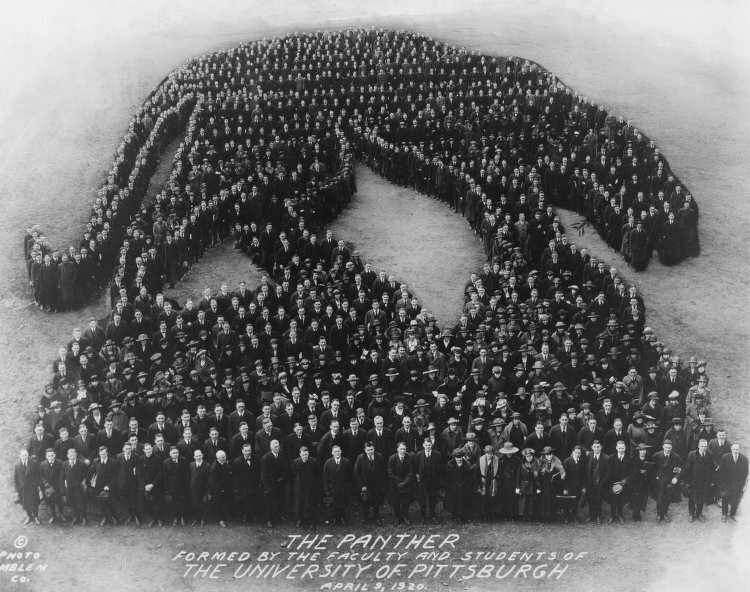 They still call us “Pittsburgh,” which would be like us calling of the Wolfpack “North Carolina State.” Yeah, that’s technically their name but literally everyone calls them “NC State.” Well, everyone calls us “Pitt” but in our league, they still call us by our more formal name. And a great many of the commercials they run during our games are for businesses that we don’t even have and likely never will. It’s for chain pizza places and chicken restaurants, things like that. We wouldn’t be caught dead eating any chain pizza - we have Italians - and we don’t have restaurants that specialize in chicken sales. It’s just a totally different world and we know that we did what we had to do and we would not wish that things turned out any differently. However, I can’t speak for anyone else but I absolutely miss playing teams we actually cared about and who cared about beating us. Alas, that is a relic of history now and we have to move on and try Magic Mushroom Pizza and Zaxby’s Chicken. The problem with Penn State is that they always saw themselves as being inherently different than everyone else. Truthfully, they are right. They were the wealthiest and most powerful school in Northeast and they were never shy about flaunting that status. However, by the mid-70s they started to see themselves as maybe being like Notre Dame. The Irish had become a basketball independent and Penn State eyed that status as well. That all came to ahead in the late 70s whenever Penn State was pushing for a series of rules changes. I’m pretty sure they were all eligibility related and I vaguely remember actually agreeing with them at the time. It is also imperative to understand that though Jim Tarman was the athletic director in title, Joe Paterno was the real athletic director. He would regularly contradict Tarman in public. For a few years, before he hand-picked Tarman, Paterno was the official athletic director at Penn State. Anyway, whatever the dispute was over, the schools sided against Penn State because everyone was tired of being pushed around. Well, Penn State did what they always did and they decided to call everyone’s bluff and they resigned from the Eastern 8. However, the way they did it was terrible. They slipped the press release announcing their resignation under everyone’s hotel doors at the league meetings while they slept. What do you think that did to foster trust? Then, they went indie for a few years, failed and were brought back to the Eastern 8 but none of those relationships were ever nearly the same. At that same time they were negotiating an all-sports conference but again, it was entirely on their terms. Don’t get me wrong, this is entirely predictable given the time and the culture that existed in the Northeast. Also, I would be remiss if I felt to acknowledge but everyone was guilty of shortsightedness and greed. However, for years they have tried to revise history and present it as they were the reasonable ones while everyone else was being unreasonable and that’s what scuttled the deal. I’m sorry but that just defies common sense. You don’t think everyone wanted to form an all-sports conference around this mega giant in the Northeast? Of course they did! Everyone could see what was happening. Everyone understood what was happening with cable. However, they also couldn’t afford to give up the farm in that pursuit. It makes my blood boil when I read people analyze what happened at the time and they present it like Paterno was this reasonable nomad in this desert of thieves. That is a ludicrous misrepresentation of what was actually happening at the time. There’s a reason why basically the entire Northeast organized without Penn State. BTW, there was never any talk of an eastern seaboard conference and there was never any serious talk of joining with the Metro Conference. I have read where people in the Metro believed they were going to merge with the schools in the Northeast, but that’s not true. Also, nobody was talking about Connecticut or Virginia Tech for that matter. They weren’t even talking about schools like South Carolina, Miami or Florida State. It was a purely Northeastern-based league. At that time, people looked at UConn the way you would look at UMass or Maine or Vermont. They were just not a factor at all. We used to call Virginia Tech “VPI.” I don’t even know when they became Virginia Tech; and VPI was like East Carolina. Again, they were not seen as a major program. The schools being discussed were: Pitt, Penn State, West Virginia, Boston College, Syracuse, Temple, Rutgers, Army, Navy and - depending on who you talk to - Maryland. That was who was under consideration. There was no talk whatsoever about anyone outside that footprint. I also vaguely remember hearing that they would have an agreement with the Orange Bowl. (02-12-2019 11:24 PM)Dr. Isaly von Yinzer Wrote: The problem with Penn State is that they always saw themselves as being inherently different than everyone else. Truthfully, they are right. They were the wealthiest and most powerful school in Northeast and they were never shy about flaunting that status. This is completely consistent with my recollection. I would add, folks need to remember that the NCAA v. Board of Regents of the University of Oklahoma case had not yet been decided, that didn't happen until 1984, so the the NCAA had a monopoly on football TV rights. There was little opportunity to benefit, therefore, from conference TV rights for football at the time. However, the schools and conferences controlled TV rights for basketball, so playing in a high profile league offered a solid opportunity to boost TV revenues, which undoubtedly contributed to the preference of Syracuse, BC and Pittsburgh to be in the Big East. Having said that, Syracuse and BC recognized the long term value of being associated with Penn State, and promoted their candidacy for the Big East. Penn State received a 5-3 vote in favor, but needed 6 votes to be admitted. Even if they had been admitted, though, I believe they still would have moved to the Big Ten in 1989. The cultural similarity of being with other large state flagship schools and the ability to leverage the television value of their football program would seem to be the same whether they were in the Big East or Atlantic 10. I was younger when all of this was going down regarding Paterno's vision of an all sports eastern conference that was designed to subsidize PSU's poor basketball and allow them to keep all of their football money via a corporate welfare type scheme. But truth be told - the Eastern 8 basically did not play well with others. They always had that independent minded streak when it came to football. As pointed out earlier - as long as the NCAA negotiated the TV deals there was never going to be an incentive for the eastern FB powers to form a conference that would share revenue across all sports. Without revenue sharing across the board when it came to be biggest revenue generating sport - the all sports conference would have fell apart. The northeast culturally had a mindset of smaller, independent colleges. The midwest was all in on the land grant university system that was naturally geared towards larger athletics programs. Also back then I think pro sports ruled in the northeast and along the west coast - still does to this day. The midwest, southeast and southwest didn't have the same representation in the pro sports leagues back then like they do today (especially the southeast) so the idea of big powerful all sports eastern athletic conference was never a serious option from the beginning. There was talk in April/May of 1985 and January of 1989. Although it was just that, talk. "There have been ongoing discussions (about an all-sports conference) for five or six years," the Temple president said. "But there is nothing imminent. I know the president of West Virginia is very interested." There has been talk in the past of a possible Seaboard Conference that would include Florida State, South Carolina, Virginia Tech, Rutgers, Temple and West Virginia. However, Liacouras said a more feasible arrangement would include Temple, Penn State, Rutgers and West Virginia as a starting base. "Each of us has a comprehensive program which includes graduate and professional schools, and all are in the Northeast," Liacouras said. So there was talk, and the President of Temple was aware of it. Yes, it was radical at the time, but it was floated out there. By whom? I have no idea. On a related note, West Virginia's athletic council voted to leave the A10 and join the Metro in the mid-80's (WVU President, Golden Gee, initially supported this). In 1989 the "Eastern Seaboard Conference" was talked about amongst AD's of West Virginia, Virginia Tech, South Carolina, FSU and Penn State. It was blown up by newspapers, but quickly downplayed by those involved as a "30 second conversation over breakfast". * Later in May of 1989, AD's actually met and discussed the financial matters regarding a football conference. So this was more serious. Mentioned attending Army, Boston College, Florida State, Miami, Navy, Pitt, Rutgers, South Carolina, Syracuse, Temple and West Virginia. Penn State was a no-show. By 1989 it was serious. If the Big East didn't expand with Miami and start the football conference, the Metro would have had the 16 team football configuration. Penn State was already in talks with the Big 10 by then. Interesting, I was unaware of this. By 1989, the schools have direct control of their TV rights. The landscape is shifting, and it would make sense for a group of independents to chat about ideas for how to position themselves together in the market. However, there would not have been any urgency, since the CFA was still functioning and still included the SEC and Notre Dame. The urgency came when the Big Ten invited Penn State in December 1989, sending Syracuse, Pitt and BC into panic mode. Things became even urgent when Notre Dame abandoned the CFA in February 1990 by signing its own TV deal with NBC. This was followed by the SEC's decision to expand, which would have at a minimum introduced a threat that they were considering leaving the CFA.